Similar to humans, pests such as spiders, cockroaches, mice, spiders, stink bugs, and other insects need water, shelter, and food to survive. Therefore, you should remove possible sources for the vermin inside your home by getting rid of their hiding areas. When you do this, you can lessen the risk of having them in your house. If you see one in your house, you will probably opt to use a pest-control spray with chemicals. Aside from calling a pest control service like Responsible Pest Control, there are a few things you can try to keep pests out of your house. Here are some ways to make your home free from pests. Block all possible entryways for rodents to prevent them from squeezing in. From the foundation of your house to the lining of your roof, rodents can go through holes that are as small as a coin. They can enter any weak openings in your house just to get in. In order to avoid these unwanted visitors, you should thoroughly check the area of your house for any small holes or cracks. When you repair these holes or cracks, make sure that you seal it with metal mesh such as steel wool first. Then, you can do caulking. This is done so that rodents will not chew the blocked areas. You also need to check your conduit pipes, garage seals, door sweeps that are worn out, and torn screens behind your roof vents and gables for any gaps. It is also advisable not to leave any of the doors in your house open even though you will just go out for a short time. 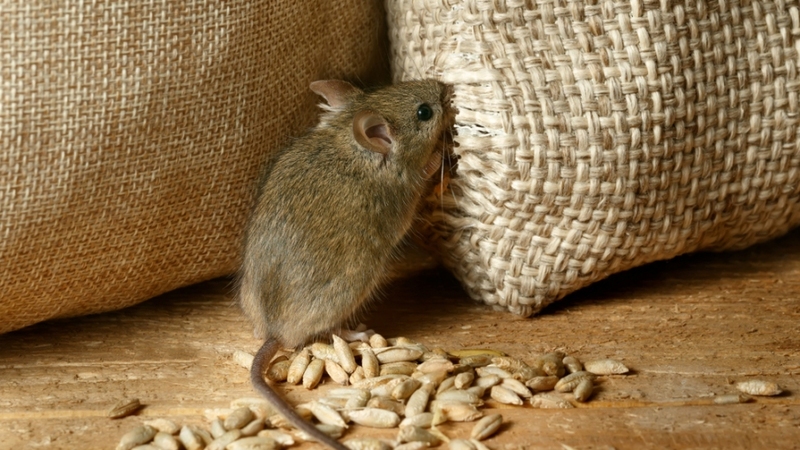 One of the main reasons pests invade your house is food. They are not picky. Thus, when they find a possible source of food, they stay and worse invite more of their friends. Because pests can survive even in the tidiest homes, you should eliminate any possible food source. You can do this by sweeping any crumbs or spills on your floor immediately. Putting food in an airtight container that is made of thick material is recommended by The Centers for Disease Control and Prevention. You should keep this in mind especially if you have bird seeds or pet food in your garage. Be careful of pests on your pets. Cats, dog, and birds are some of the pet animals that can carry pests in your house. A bite of fleas can cause extreme itchiness which can result in eczema. Therefore, it is important to have your pets treated for their fleas with your vet. Shaking and changing your pet’s beddings once every two weeks is a good idea. You can also use a strong vacuum cleaner with suction to clean the areas where your pets usually stay. For fleas that you see on your furniture or carpet, you can spray them. There are indeed many ways to solve the pest control issues in your house. You should not wait for a long time before taking action. It is because of the damage, time, and money it will cost you.